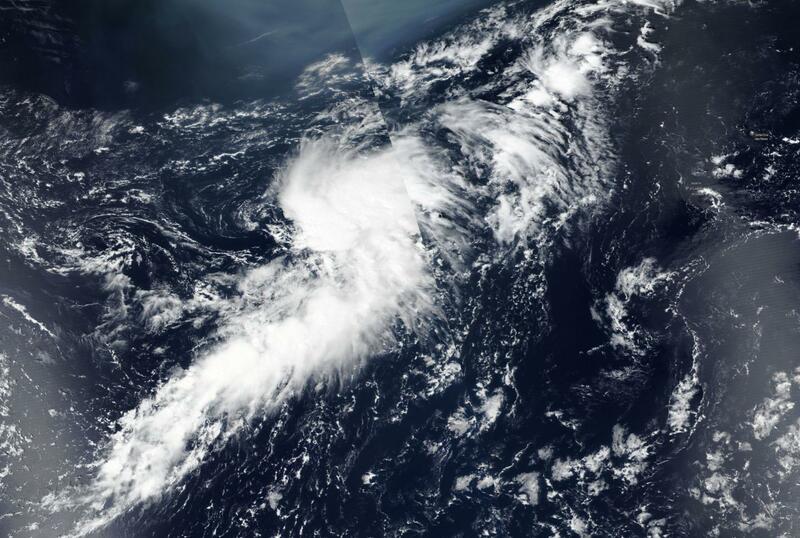 The fifth tropical cyclone of the North Atlantic Ocean season formed on Aug. 15, as NASA-NOAA's Suomi NPP satellite flew overhead. Like its predecessor Tropical Storm Debby, Sub-Tropical Depression 05L (5) formed in the north central Atlantic Ocean. On Aug. 15, the Visible Infrared Imaging Radiometer Suite (VIIRS) instrument aboard NASA-NOAA's Suomi NPP satellite captured a visible image of Tropical Depression 5 that showed a large storm. Most of the convection and clouds appeared east of center and there was a large band of thunderstorms extending to the south.